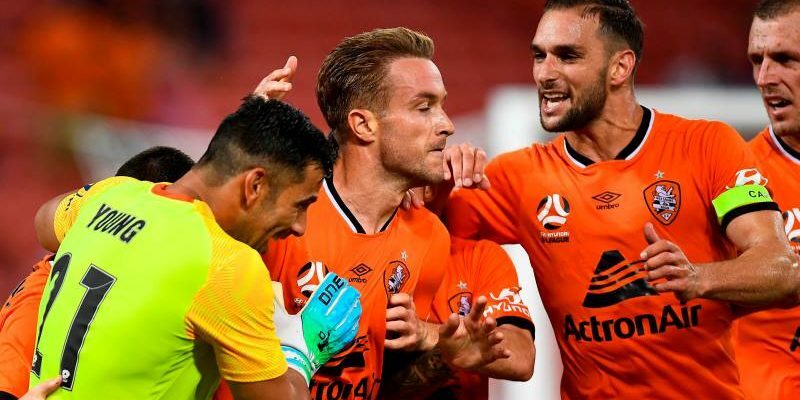 SYDNEY (8 Feb 2019) – Dylan Wenzel-Halls scored a dramatic winner to hand a valiant Brisbane Roar a famous 2-1 comeback win over Sydney FC in Friday’s Hyundai A-League contest. Wenzel-Halls fired home in the final minute of normal time to complete a remarkable late turnaround and hand interim boss Darren Davies his first win at the helm of the struggling Queensland club. It was an upset triumph that did not appear on the cards when Daniel De Silva asserted Sydney FC’s authority with his 55th minute opener.